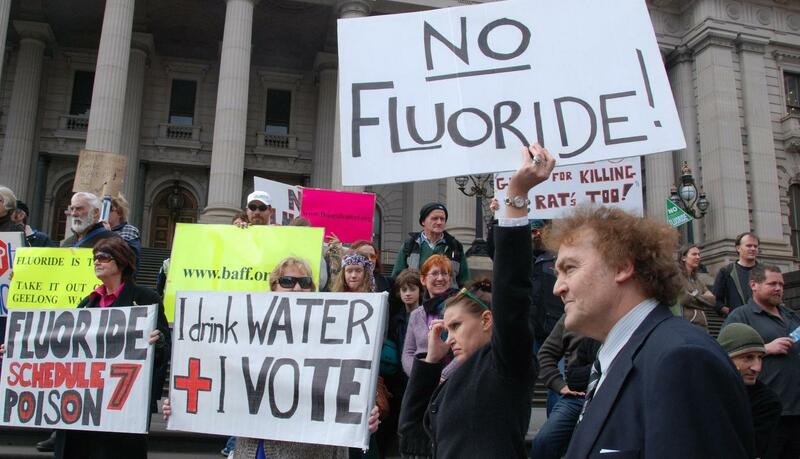 The growing Geelong anti-fluoridation campaign took to the steps of Parliament on Wednesday in order to strengthen the broader campaign, along with fellow groups throughout Victoria. The Barwon Freedom from Fluoridation organisation also presented an open letter to the Minister for Health, Daniel Andrews, demanding the immediate end to fluoridation in the whole of Victoria. The protest was over 100 strong at it’s height and included concerned individuals from Geelong, Melbourne, Castlemaine and various other parts of Victoria. Opposition to fluoridation is definitely not just a small issue hidden away in Geelong, many Victorians are angry that they have not been consulted, let alone given active consent. National-Anarchists attended the event, taking video footage and distributing informative pamphlets to other protestors and passers by. It is a disturbing reality that since the beginning of this fluoridation campaign, National-Anarchists have been the only radical political movement to become involved and express support against such an attack on democratic and civil freedoms. 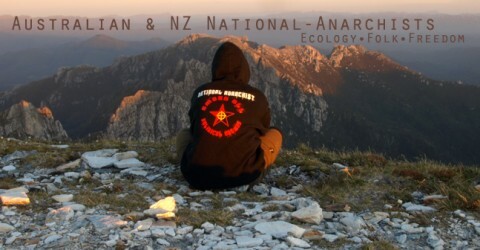 There has been no support from the wider Anarchist movement, no other Nationalist involvement, the closest to broader political co-operation has been individual Greens members, a Democratic Labor Party MP and individual trade unionists. How can we truly confront the problem of “representative” democracy is we will only co-operate on the really big issues. Fluoridation is an issue that affects people in their local communities, directly in their homes, it touches them much more closely and critically than global capitalism or climate change. Besides of the let down from fellow anti-establishment activists, the rally was largely succesful. Victorian National-Anarchists have continued to network with people from across the state, also conducting an interview with a popular YouTube journalist. The broader campaign against fluoridation has been let down by the complete lack of mainstream media attention but what more can we expect, the media has no intention of covering real issues – we have the means, we need to make our own media! Our video of the days events is here, there will be more news on the forced fluoridation issue as it develops. UNITED! FOR AN ANARCHIST FUTURE! Let down from other activists? and constant bashings going on than the tap water. not having your throat cut when you go to buy milk. What activism regarding gang rapes or street violence is underway in the public eye at the moment? If it’s positive, we’d be happy to get involved. As has been detailed by the Yarra National-Anarchists, it’s more often the case than not, that many local activist groups would rather deny the realities of street violence than actually confront the issues head on. I agree entirely that there are hundreds of issues besides of fluoride, some less pressing, many much more important but if we don’t cover the fluoride issue – who will? !